Under the 2009 OVDP, some matters were resolved utilizing offshore penalty determinations that were significantly less than as set forth in the 2009 OVDP. Subject to review by IRS technical advisors, examiners made penalty determinations on a case-by-case basis. However, some practitioners made “FAQ 35 submissions” for penalty relief in every case, regardless of the underlying factual scenario. As such, it became increasingly difficult to have unique factual situations properly considered by the IRS. Following announcement of the 2011 OVDI, the IRS began eliminating agent discretion in the administration of open matters submitted under the 2009 OVDP. Instead, representatives have been advised that FAQ 50 of the 2011 OVDI has replaced FAQ 35 of the 2009 OVDP, unless “substantial information” supporting the FAQ 35 was provided before the February 8, 2011 announcement of the OVDI. How could that be? Certainly, taxpayers submitting an application under the 2009 OVDP have the right to have the 2009 FAQs applied to their matter. Eliminating FAQ 35 consideration for taxpayers who submitted an application under the 2009 OVDP is simply unacceptable and does not support the perception of fairness in tax administration. It is believed that the foregoing is currently under reconsideration by the IRS. Of course, the 2009 OVDI makes explicit that the IRS will use as the benchmark the maximum FBAR penalty with no discretion in the agent. Asher's article discusses the revocation of FAQ 35, and what this means for voluntary disclosure taxpayers. My experience is that the IRS has been more receptive to an FAQ 35 argument than a 5% penalty request. I've had more success in getting the IRS to impose non-willful penalties of up to $10,000 per year, pursuant to 2009 OVDP FAQ 35, than going from 20% to 5% of the aggregate account balance under 2011 OVDI FAQ 52. Of course, that FAQ 35 non-willful penalty is now, under the 2011 OVDI, off the table. See my comment on this further below. 2. Anonymous on May 20 at 10:32 asked about appeals. Anonymous correctly notes that an appeal would cost the taxpayer money, time and a lot more hassle. I had an OVDP case where the IRS was clearly over-reaching because of the amount involved. In that case, the 20% penalty alone was over $1 million, and the IRS did not want to let that amount go. But the facts were excellent for a reduced non-willful penalty of up to $10,000 per year; FAQ 35 was still in effect at the time. One strategy would have been to reject the $1M+ penalty, submit to a full audit, and then recourse via appeals and even litigation. On that last point, we felt that there was little chance that a court would find willful tax avoidance. We felt that there was a good chance that a court would find against the IRS based on the facts. But an appeal and litigation would have cost taxpayer more time, money and aggravation, and although the chances were good, there is no guarantee in litigation. Moreover, a full audit might have turned up other headaches. Taxpayer paid the $1M+ penalty rather than challenge the IRS, even though the facts were on taxpayer's side. 4. As to the "bait and switch" comments, I was very surprised that the IRS rescinded FAQ 35 after the announcement of the 2011 OVDI, even to taxpayers who disclosed under the 2009 OVDP. Taxpayers who disclosed under the 2009 OVDP, did so on the basis of the applicability of FAQ 35 (as well as any and all other guidance issued by the IRS with respect to the 2009 OVDP). One must question whether subsequently, and retroactively, denying such taxpayers the opportunity to benefit from FAQ 35 is in fact a "bait and switch". One must also question whether such a policy violates legal precedent which prohibits the IRS from issuing rules and setting policies on a retroactive basis. My understanding is that FAQ 35 was revoked if the person in OVDP 2009 had not mentioned this possibility to the agent before Feb 2011. I don't know if there was any existing case where FAQ 35 was withdrawn if it had been asserted earlier than Feb 2011. Let me add my sobering experience with the infamous 2009 FAQ 35 if it is of any benefit to anyone considering the 5% rule. In Oct, 2009, I wrote Commission Shulman to express concern that the OVDI penalty was disproportionate for expats and immigrant "Minnows”. We were not the Big Whale tax cheats trying to hide unreported funds in overseas secret accounts. If you remember, with all the UBS fervor, this is how the program was marketed in all press accounts. I feared that Minnows, were by-product catch of a finely woven net designed for the UBS type Whales. We were entering a giant fish processing plant from which the Whales would emerge without any life altering financial consequences. The Minnows on the other hand, would be ground up and spit out as fertilizer. I hoped I was being hyperbolic at the time. Actually, I may have understated the reality. I received a reply on April 1, 2010 from a Kevin McCarthy, Acting Director, Fraud/BSA Small Business/Self-Employed Division. He politely talked about the needs for fairness and compliance, and described the salient objectives of the program. He separately and specifically restated FAQ35 that “under no circumstances must a taxpayer pay a penalty greater than what he or she would otherwise be liable for under existing statutes.” It was that language that gave a lot of us hope that some discretion would actually apply for Minnows. Due to IRS delays, it took a year and 1/2 to get my OVDI penalty outcome. I received my form 906 in early March 2011. It was the shock of my life when they included the value of my home, where I am living overseas, in my highest aggregate total. The reason they gave, was that since it had some causal holiday rental income (even without substantive tax impacts), it still put me in the technical category that allowed them to asses the penalty. I guess any income even minor amounts give them the opportunity to reach deeper into your pockets. It doubled my OVDI penalty. Ouch! IRS Agent, to her credit, was sympathetic to my cries of pain. She openly admits this program was not designed for me, and tried twice with her technical advisor to get it removed, but to no avail. No discretion, you know! I subsequently asked for FAQ 35 consideration, but agent says she is unable to, as it was rescinded in Feb, but she can't produce anything in writing that says that. I see all the comments around the web that it is so, but I don't see it specifically spelled out, and on the IRS web site, FAQ 35 for 2009 OVDI is still there. 1. Negligent Violation Up to $500 N/A 31 U.S.C. Is this penalty settled in the court ? One prominent practitioner who deals with a lot of OVDP cases said that he submitted FAQ #35 arguments for all of his OVDP cases. I find it hard to believe that ALL of his OVDP cases deserved penalty relief. Perhaps thats part of the reason the IRS withdrew FAQ 35 --- too many practitioners claiming penalty relief for their clients. There are a lot of responses to that one that would be worth ones effort to read. You have to wonder what percentage of 2009 OVDP's had FAQ 35 issues. I am betting almost all of them. I experienced an FAQ 35 hearing (sort of speak). I know it added time to the process and IRS had to utilize more resources to even consider it. Anyone caught up in the offshore fiasco over the last couple of years would certainly want to minimize the financial costs of clean up. Also law firms are for profit businesses and I am sure they tell clients thay will try to reduce penalties and FAQ 35 was a glaring opportunity to do so or at least sounded like it had the possibility of doing such. I think IRS realized this and then shut the possibility of FAQ 35 arguments down because it became over whelming. Sadly it counterdicts the principle of evaluating individual facts and circumstances in traditional voluntary disclosures. What can you do though? IRS holds all the cards in this situation unless there is a legal challenge that forces changes in the governments behavior. Now if you want to settle based on your unique facts and circumstances(excuses and FAQ 35's) you have to do it outside of OVDI and accept the uncertainty that comes with it. If you are out of compliance and are in OVDI, you will likely get the 25% penalty unless your account balances never exceeded 75k. Are any of your clients receiving a request to extend the statute of limitations for 2004 FBAR penalties under the implied threat that failure to sign could lead to immediate imposition of 2004 FBAR penalties? Would this supersede, replace or be in addition to OVDI penalties? Something about this doesn’t feel or seem right. Does it to you? My poor understanding is that for a complete package submission (before 08/31/2011), both extend FBAR and tax assesment statute limitaion have to be signed by taxpayers so IRS can "legally" impose OVDI penalty on highest aggregated value from 2003 to 2010. If taxpayers later decide to opt out OVDI, these two forms should be invalid. This is part of the deal for IRS and taxpayers to resolve the matter within OVDI. The extensions are needed to protect against statutes running on persons who opt out of the program. If you are in the program, you agree to the penatly regime regardless of the statute of limitations. If you opt out, however, the IRS can only do what it otherwise could lawfully do -- and that is dependent upon the statute of limitations. Thus, one year of the FBAR statute will expire on June 30, 2010. And, depending upon the filing dates and whether the 3 or 6 year statute applies, statutes could drop on the income tax. Of course, dropping a year or two or even three is not that big a deal, because the outside the program FBAR penalty can be the greater of $100,000 or 50% for each year. At least for those who maintained the accounts at a high level in the recent years, there will be enough open years to get the pound of flesh. As to the income taxes, that may be a different kettle of fish. Thanks Jack and ij That helps. The IRS updated its FAQ for the 2011 OVDI scheme and has actually made some changes that could greatly help expats. These apply retroactively as well to anyone who joined in 2009. The penalty is 5% and foreign non financial assets would be excluded provided the person was a non resident, paid taxes in his/her home country and had < 10K of US source income in those years. I had just received a voice mail from our auditor that something was going to be posted on the IRS.gov site. From your comments, I see that it is a highly qualified and technical response which potentially adds more traps if you exceed some level by even minor amounts, but I haven't read it yet, so maybe I am being pre-mature in my concern. I really hope this helps some folks, although I guess it is not surprising to see that the IRS mindset is structurally and intellectual unable to make broader categories as a first filter. They would rather tie things to what seems to be pretty arbitrary numbers. 2. Were you residing overseas at the time of the OVDI, and just have normal banking arrangements for normal people living normal lives. That is where I would have started as the first cut, to separate the wheat and the chaff. I would have avoided anything related to some artificial $ amount that may or may not have been in the bank or some artificial income amount. That is a speed limit mentality and what is a lot of money for one person, is a relative trifling sum for another. I don't know where or how they come up with the $75,000 amount, for example. Why that, and not $50K, or $95k or $150K? Those seem like very arbitrary numbers to me, and not even meaningfully arbitrary. Also, I would have predicated penalties tied to some level of tax avoidance that may have occurred. (not highest aggregate amounts) That supposedly is the major concern of this effort, isn't it? This would be similar to how the 20% accuracy penalty is already applied. That is a stiff one, in and of itself, but it makes sense and is understandable by simple folks like me. Maybe the penalty would have been increased to be 35% or 50% of taxes due depending on the application of filters 1 or 2. That would mean if your under tax reporting was non substantial, your penalty wouldn't be wiping you out. If you were really evading in a Big way, than you would really pay proportional to the avoidance. And, I would have maintained the focus on accounts required to be reported on FBARs, and not sweep in real estate or other assets (not required to be reported) predicated on some income generation that could be relatively minor. That is just over reach, in my opinion. Anyway, I realize my self interest creates a bias, and I probably shouldn't comment more until I have had time to read and digest. IRS assumes all offshore fund are non-US-taxed income (they just can not prove it), so 75K is like the income level, and they just use simple/jump tax (12.5% or 25%) on these fund..
That does not make sense though as what if all the fund in the offshore account was transferred from a US Bank Account? And that is very common - immigrants transferring their savings to offshore accounts. So in short, IRS wants to tax, penalize the funds that are actually "after-tax" funds, just that they are sitting in an un-disclosed account. to Anon "June 4, 2011 9:08 AM"
Sure it does not make sense -- i was just trying to make sense out of IRS' nonsense. Also, I think IRS jump penalty on 75K is because it has dealt with 2009 ovdi and they know most (if not all) are over 75K. This new jump penaly will not affect many of already done 2009 ovdi taxpayers. If they choose smooth/gradually penalty at 75K, that will make all 2009 ovdi folks comeing back to claim money back. Turbotax 2009 has a screen you can't avoid that very clearly asks you if you have income in more than one state. One day they will have something like this to ask you if you have income from interest on accounts or assets in foreign countries. There is a screen where you can see a link called Foreign Income which if you click that you get an explanation that you must declare income earned on assets in foreign countries and that you must fill out an FBAR. My wife made the same mistaken assumption I did, i.e. she thought that my tiny interest income from my account in Canada was subject to taxation in Canada, not the US. She confidently expected Turbotax to at some point present her with a clear question, i.e. to protect her from making the sort of mistake that might cost $50,000, $150,000, and/or criminal prosecution, i.e. if not paying $200 in tax causes the IRS to assess a penalty on my entire net worth in Canada. So she did not search the screen looking for anything to do with Foreign income to investigate. I had told her my income in Canada was so low it didn't have to have tax returns filed which is true. You don't have to file if you don't owe money there, and the income is less than the smallest mandatory standard deduction. That income is my entire worldwide income. If you try to enter foreign interest income using Turbotax 2009 I found that it would not do it. You are told "this is uncommon" that you would find yourself trying to report interest income from a foreign source as you try to get to do it, then you are presented with a number of boxes to check such as do your total accounts added up to $10,000 or more, do you have an interest in foreign trusts etc. After I checked all the boxes I could understand that applied, the program announced I was finished. No amounts were asked for. Nothing was changed on the return in the way of numbers. It seems to me Turbotax, along with a lot of other US persons and US citizens and the IRS and Treasury are learning how to do this as they go along. I think there is a clear case against Turbotax 2009, and most probably Turbotax 2010, that they failed to protect us. I am not a lawyer. I am an artist. I thought the US was full of lawyers ready to sue anyone over anything to confirm their reputation as the most litigious society on earth. Where is the class action suit against Turbotax? Moreover Turbo tax should create a big pop-up that will flash on your screen similar to the "Wet Floor" sign in McDonald. The sign should say "Beware immigrants, make sure to declare all offshore interest and accounts on FBAR form, failure to do so may result in huge monetary losses, prosecution and deportation." At this point the FBAR info on the tax return looks like fine print to me. No wonder thousands and thousands of people are shocked in awe when they learn the details. And many more continue onwards and will continue to disregard and ignore the FBAR. I nerver use Turbotax/H&R, I file on paper f1040. on f1040, it says "
8a Taxable interest. Attach Schedule B if required"
What is "if required" ? Why it does not use "you are required" instead ? Had I used Schedule B, then I would have found FBAR many years ago..
IRS does not assume that taxpayers read full instructions - BUT ASSUME THAT TAXPAYERS SHOULD PREPARE SELF PREPARE - ONLY IF S/He knows the full tax return instructions. Option to go with experienced tax professional is always open. Percentage of getting such surprises reduces if you approach qualified tax professionals. Still people does not understand that filing tax return without knowing all tax laws can put you behind the bar and the same people are repeating that mistake. They file OVDI them self and try to educate pros and cons / tax laws on the forums!! As far back as I can remember, Turbo Tax has asked the 'Foreign account' question if you had more than 1500 of interest/dividends. So sorry, the 'Geithner defense' won't work. Wore than IRS, here comes fear mongering again! Behind bars for what ? For mistake in filing return or in preparing OVDI ? By the way, nobody is trying to educating anybody here -- as Jack's blog is for discussion only. Now here is threat "behind bars", May I ask who would be "behind the bars" ? the taxpayer ro the accountant ? With all due respect....who should be behind bars, or should you use a tax expert almost misses the point. It is a sad state of affairs when the tax system is so complicated that if one does not depend upon an expensive Practitioner to prepare your taxes, or represent you, then almost by default the IRS considers you "Willful" in your failures and therefore subject to severe penalties. Frankly, if you were NOT allowed to depend on Practitioner's help and advice, and Not allowed to use software for preparation of taxes, (IE, have to prepare your taxes manually, yourself) I think there would be a tax revolt far greater than the little misplaced T-party effort. When people really realized how absurdedly complicated the whole system has become, the actual effective rate you pay (which has been going down in recent years) would almost be a secondary consideration. The 1040 instructions are complicated enough. Read the instructions for form 1116, Foreign Tax Credit. I defy anyone of reasonable intelligence to read it and make sense of all the nuances and permeations therein. I know, that this is a useless rant, as it will never ever change in spite of all the talk of tax reform in Congress. Reform just means more complications, exceptions and more forms, and Corporations with even bigger Tax legal departments as a Profit center,.... and more need for expensive help and advice for everyone else. I chose the wrong career. I should go back to school to be a tax CPA. The unemployment in those ranks has to be less than 9.1% ! Douglas Shulman says he uses a hired tax preparer because the U.S. tax code is so complex. That’s a bad sign. He’s the I.R.S. commissioner. The tax system has clearly gotten too complicated. The code itself holds about 3.8 million words, nearly five times as many as the King James Bible. There’s also a much larger body of regulations, which carry the weight of law, written by the Internal Revenue Service, along with court precedents going back at least a century. Add to that the IRS’s published opinions on its regulations. Even if someone could read all of it, the rules would be obsolete by the time he finished. There have been more than 4,400 changes to the tax code over the past decade, or more than one a day. In order to put somebody behind bars, IRS/DOJ has to prove it is not a mistake but an affirmative act. 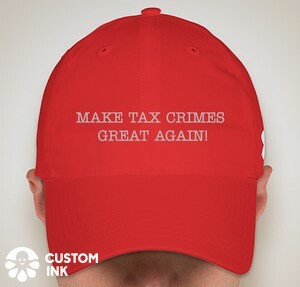 I don't think anyone who is just being simple minded to file tax return with full honesty will be prosecuted and much less be convicted in the court. However, heavy penalty on civil matter is very possible for simple mistakes. Just do some basic estimate on how much possible penalty you can afford on your mistakes and how much you can afford to pay an accoutant for not to make mistakes. The bottom line is being honest (not intentionally forget your income and your accounts) to IRS. Do fbar and forget "behind the bar"
ij.... Thanks for the reference to that article. It was good. Appreciate you posting it here. I guess I have learned my lesson. Civil penalties for failure are indeed severe, and I guess since I only have about 20 years of life left (if I am lucky) the penalty of time and anxiety expended on these OVDP efforts is being paid in life currency units. On balance, that is more valuable than the shrinking "dollarettes" they want from me, extreme as it is. I might as well just sign their bloody 906 for whatever they think it should be and be done with it. Simple people like us are always ruled by those lawyers and accoutants (who basically make these tax law/rule). We just have to accept that.. I hope that I have anotehr 20 years (and I need at least 16 years to raise my little kids to become adults). I am begging IRS to spare my RRSP (retirement plan) so I can have a bit more money to help my kids. This is the first time in my life that I feel myself so hopeless, helpless, weak and pathetic..
"This is the first time in my life that I feel myself so hopeless, helpless, weak and pathetic." Serious question -- rather than contend with bad and capricious US tax laws, have you considered simply leaving the US and never returning? It seems like you have another citizenship, and if so that would be a simple move in immigration terms. Is living in the US really worth this much anxiety, stress and expense? The workplace is much more global and distributed than it was some years ago, and the internet has made cross-border working practical in a lot of cases. Maybe you can do your job from elsewhere. I moved out of the US a few years ago as a result of the HEART act. I was a permanent resident for over a decade, but HEART threatened to take a huge bite of my retirement savings for nothing in return, and it became no longer financially worthwhile to stay. Rather than swallow the unfairness, I took action, handing in my green card and leaving the US. I'm happy that I did. My main regret is that I did not leave the US sooner. There is actually a good reason for the complexity of most tax laws relating to foreign income and taxes. These laws have to contend with multiple foreign tax regimes, recognition and deferral period, exemptions, credits, deductions and the like. Form 1116 does not have to be filed if you have less than $300 of foreign income. Equally, a lot of the complex rules related to CFCs, PFICs etc. were first created to prevent corporations and individuals from deferring taxes indefinitely or converting income tax to capital gains taxed at lower rates. Equally, many of the rules related to Form 1116 are specifically intended to prevent US persons from using tax arbitrage in other countries to shift taxes so as to avoid paying US taxes. A number of foreign tax credit provisions were instituted precisely in response to such situations. Even if the US switched to territorial taxation, that would still be an issue for US residents. There is no easy alternative other than to have no taxes on foreign income or to not allow the foreign tax credit at all. Neither strikes me as a good solution, so complex laws relating to foreign taxes are unavoidable. As far as the expatriation tax goes, it is somewhat obnoxious, but certainly there is no reason that long term permanent residents be should be treated differently from US citizens in this respect. And once again, it was high profile cases like that of Kenneth Dart that lead to this provision (the HEART act is actually better than past provisions since it holds for a more limited subset of people). This is not to defend the complexity of the tax code, but to point out that there are reasons for some of the provisions other than just the whim of Congress. 1. I have to clean this mess first anyway..
2. I am old (with little kids) and I am not so rich (still rent and live on paycheck to paycheck) and I may have to live on my social security income. There are always logical and reasonable explanation for every rule, exception or provision. We understand you are not defending it. Just pointing out it's evolution. Every new provision just squeezes the balloon one direction, and another rule or provision is created to try and contain the bulge. I guess, by it's very nature, taxation based upon income is always going to be complex, especially when you start down the road of making exemptions and calculating adjusted gross incomes, creating credits for this and that, calculating incomes after a whole lot of allowable expenses for business and then deciding the US has a right to tax a person's income from everywhere on the earth and in space regardless of their residency. It really is almost a lifetime birth tax. The rules as written are the IRS's, lawyers and CPAs friends, as they by nature create the opportunities for loopholes which can be legally exploited on one hand, (GE is the master) or in the case of the FBARs, used to generate new revenues for tax payer compliance failures. As we know you can't perfectly write a rule to cover everything, and so the complexity that results creates the gotchas that entrap the unsophisticated. Perhaps, at birth, every new citizen should be assigned a CPA to assure tax compliance during their life. Friends I have overseas with assets and bank accounts that think they want to immigrate to the US and get a green card, I strongly advise against it. They may have talents that would be good for America, but America's taxation complexity would not be good for them. The ones I know, are better off where they are. Just visit occasionally, but under no circumstances complicate your life unnecessarily by becoming a US resident, is my advice. "As far as the expatriation tax goes, it is somewhat obnoxious, but certainly there is no reason that long term permanent residents be should be treated differently from US citizens in this respect." It's obnoxious in the extreme, and unworthy of a civilized nation. Moreover, congress's definition of "long term" leaves much to be desired. It is absurd to equate as little as six years and two days of US residency by a non-citizen with perhaps forty years or more of a US citizen who has enjoyed the full privileges of citizenship for their whole life. As an aside, in Sep 2010 the Florida Law Review published an article arguing that the US "exit tax" is unconstitutional. "But, once you are invested in the 401ks and have SS credits built up over a long time, it is hard to abandon those." Leaving the US does not necessarily abandon them. Your 401k and/or IRA should pay out to you normally when you reach retirement age, no matter your US immigration status and country of residence -- there are (currently) no restrictions on paying 401ks and IRAs to NRAs. Your SS may also be collectible. Alternatively, there may be a SS equalization agreement that would allow you to transfer US SS credits to your new home country. 401Ks/IRAs: You can definitely continue to maintain them if you leave the USA, but your new country of residence would likely tax any gains in these accounts since it doesn't recognize them as retirement accounts. SS: You can continue to collect SS after leaving the US, but it might still be taxable in the US (depending on tax treaties). A friend who used to work for social security service told me that "only US citizen can collect social security oversean through US embassy or US consulate. Needs to confirm this fact. Everytime when I change my status, I have to visit social security service to have my status update (even SSN never changed), that was the fact from TN, H1 to greencard and fianlly citizenship.. That might mean something. "Not that I want to defend the expatriation tax,..."
You miss out two of its most unacceptable features in your list: immediate tax on IRAs and other tax-deferred accounts as if the entire balance was taken in the year of departure; and requirement to waive all future US tax treaty rights. The first of these (retroactively, in some cases) makes retirement planning for LPRs potentially a net loss rather than a gain. The second is simply bad policy. The exit tax may only apply to a handful of people, but its negative effects are much broader. And only applying to a few people doesn't make it okay. The Salem witch trials, an apt metaphor for US tax treatment of non-US accounts, resulted in only around 25 deaths. "A friend who used to work for social security service told me that only US citizen can collect social security oversean through US embassy or US consulate. Needs to confirm this fact." Though a few are not listed here, it appears that SSA will make payments to NRAs in most countries. "THE COMMON LAW IS THE WILL OF MANKIND ISSUING FROM THE LIFE OF THE PEOPLE"
I am little interested in knowing what kind of common law suggests that you pay 25% penalty on the value of the car for so called mistaken / willful parking violation? May be days are coming ahead. When our states and cities are facing severe financial crunch - be ready to pay for it. If no one can stand up now no one will be speaking up then as well..
25% OVDI penalty is not in any kind law but an alternative for taxpayers and IRS to settle outside the law. The penalty of "offshore parking" writeen as law could be much worse outside OVDI. If someone does have a strong case (reason) not pay the penalty for his/her violation, he/she can have it settled by the court. OVDI is a rough (one size for all) policy for some, but it may be just an efficient way for IRS to get money, and for the taxpayers to make it right as well. When the FAQ 35 was still valid for 2009 OVDP, was IRS going for the max penalties.. for eg 10,000 per account per year for non-willful cases? any insights anyone? If that is "fair", then OVDI might be fairer to some..
Has anyone used the Eight amendment arguments in context of FAQ 35 or opt out for non-wilfull cases? Not sure I have enough information to answer this question, (I am not a practitioner) but I think not, as FAQ 35 allowed them to apply a lessor penalty using the discretion that that IRM specially allows.